I bought this super duper cute mini bundt pan the other day, and I just couldn't wait to use it any longer. Besides, what's better than baking on a Friday night?? I swear I'm not pathetic... I do go out sometimes, but tonight it's rainy, chilly, and gloomy. The kind of night where you just want to curl up on your couch with someone warm and cuddly, drink in hand, movie on, favourite green fuzzy blanket wrapped around you, and of course, dessert! And if the drink and the dessert happen to get combined, all the better! 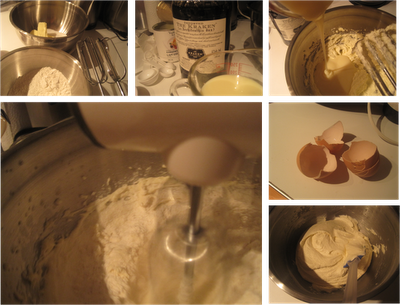 Not having the dark rum that is called for in the recipe, I opted to use my Kraken spiced rum which gives the cakes a slightly different flavour. There was a tiny bit too much batter for this pan... but I used it all anyway cause I hate wasting... so they came out a little domed. Normally, they would tell you trim off the excess until it's level... but the fact that the hole didn't go all the way through actually made a nice little reservoir for when the syrup was poured all over the cakes. Prepare the oven to 325F. Butter and flour your mini Bundt pans (or an 8-inch tube pan). Combine the flour, baking powder, and salt; set aside. In a separate large bowl, beat the butter and sugar until fluffy. Add the condensed milk and the rum. Stir in the flour mixture until blended. Beat in the eggs one at a time until combined. Bake for 35 to 45 minutes, until a knife inserted in the center comes out clean (mine were good after 30 minutes). Leave the cakes in the pans to cool. Remove the cakes from the pans. 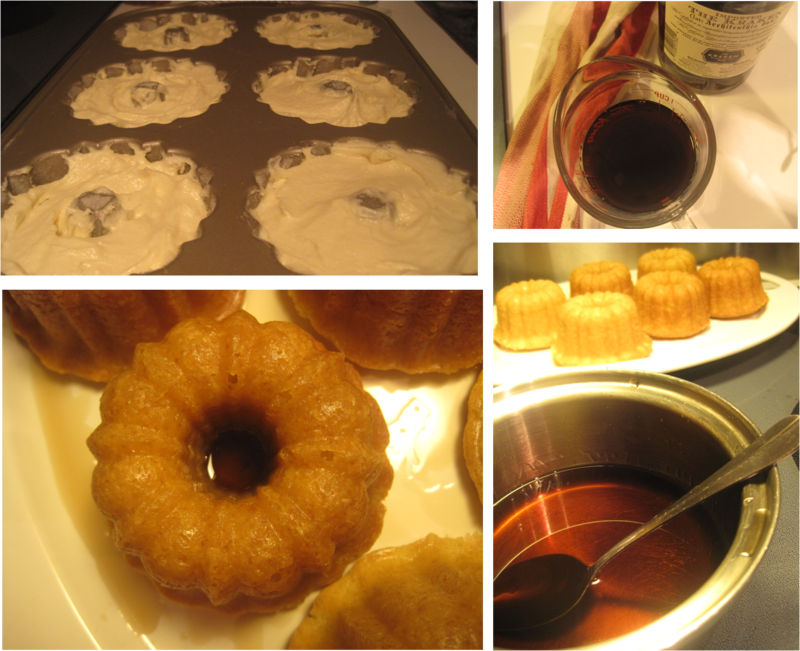 Pour rum syrup over the cakes, cover, and let sit at least 6 hours before serving. Worth the wait! Combine the sugar and water in a saucepan over medium-high heat and cook, stirring, until the sugar is dissolved. Remove the syrup from the heat and let cool for about 5 minutes. Stir in the rum and use immediately, while still warm.